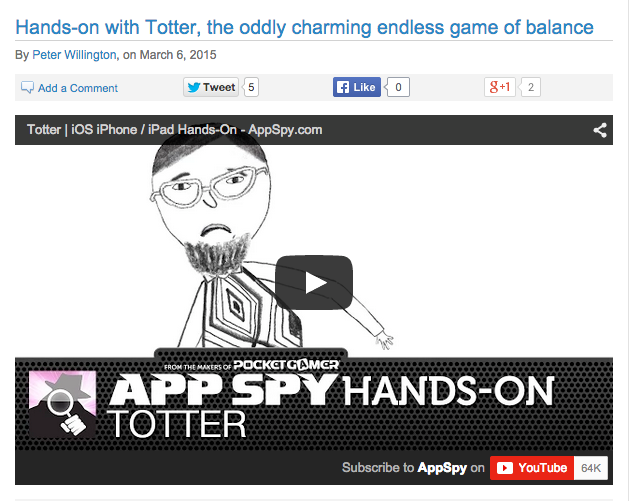 The Totter app has received rave reviews upon its release, including being called “oddly charming” by App Spy. In the video, they discuss how each character is full of personality and how the art elevates the game above the norm. To check out the full review, visit http://tinyurl.com/p7w7gvw. Keep up with us for more exclusives and previews.